The Ghana branch of the international pharmaceutical manufacturing company, BF Suma has pinned a strong list of musicians from both Ghana and Nigeria for its 2018 concert. 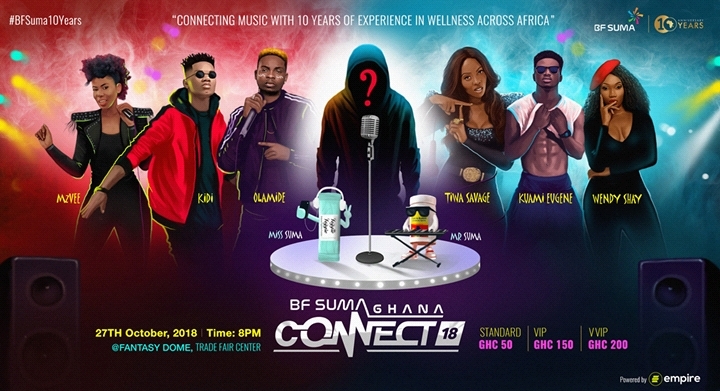 This is in line with the celebration of a decade of operation in Africa, the concert is christened BF SUMA GHANA CONNECT 2018. Enlisted acts for the concert, from the Ghana corner, are Kidi, Kuami Eugene, Mzvee, La Même Gang, DopeNation and an unveiled surprise that is set to be submitted as the day for the concert draws nigh, moreover, Tiwa Savage and Olamide will take the mantle to defend Nigeria on the night. BF SUMA GHANA 2018 is scheduled for October 27, Fantasy Dome, Trade Fair, Accra. Tickets prices range from Regular – GHC 50, VIP – GHC 150 and VVIP – GHC 200, and can be purchased at BF Suma Offices, Starr FM, Airport Shell, Silverbird Cinemas, Ailed Oil Options Marts and Empire Ghana Offices. 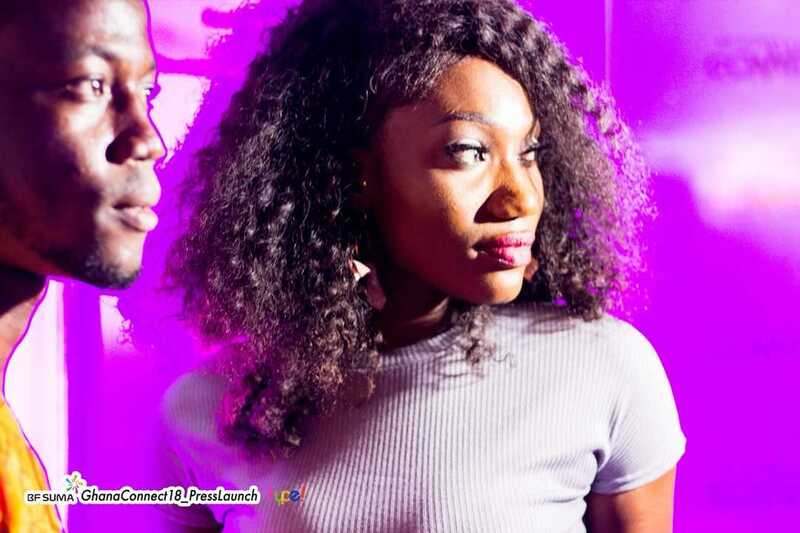 Present at the launch were some of the acts from Ghana including Kuami Eugene, Wendy Shay and her manager, Bullet, and others.